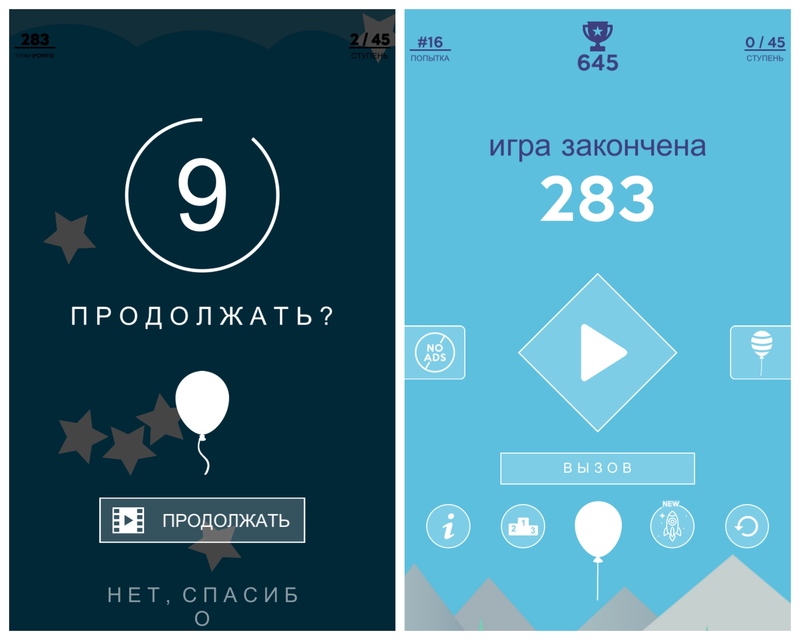 Arcade on smartphones are popular: people still appreciate the games simple subjects and simple graphics. 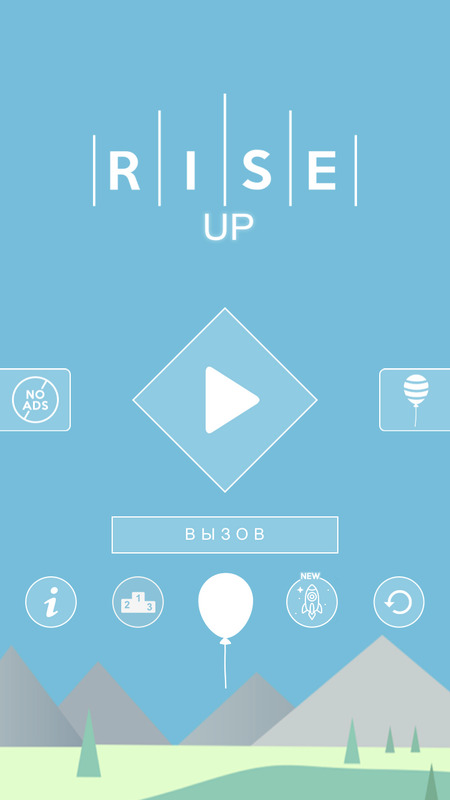 Talk about Rise Up is the app that fans of arcade games shouldn’t be left unattended. According to tradition, after installation, user encounters the main menu window. A brief look at each item. 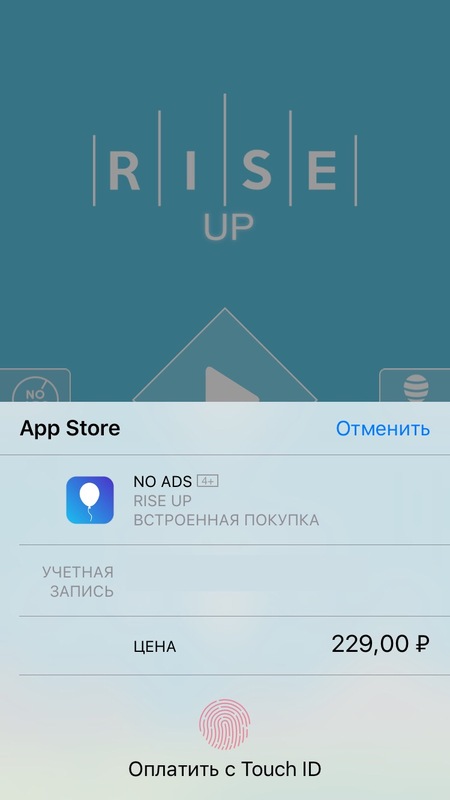 It’s simple: the program offers to remove the ads for 229 rubles. For free you can do this by unplugging the smartphone from the Internet during the game. Here are the collage, simply describing the rules. Need to protect the ball using the shield, move which will from any point on the screen. This option will be appreciated by owners of larger smartphones. In this section you can find information about their place in the overall ranking. The tab “Challenges” at the time of writing were unavailable. 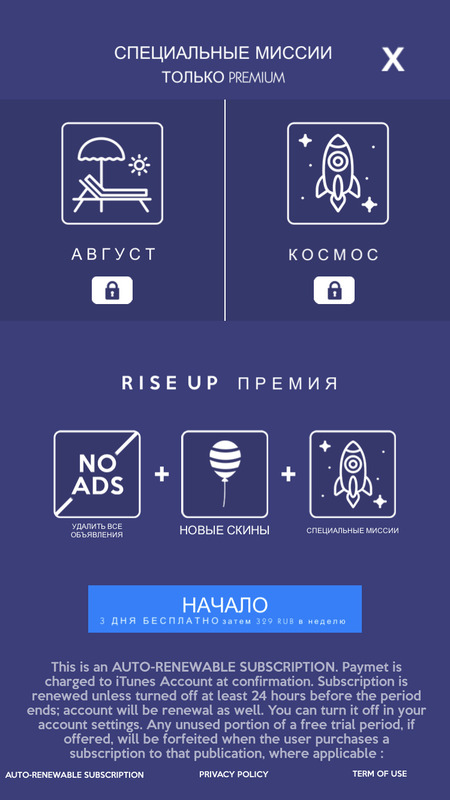 For 329 rubles a week (first three days free) you can get access to premium mode: disabled advertising, there will be new skins and special version. This option will help those who want to restore purchases. To update the appearance of the balloon and the shield will work in game. Some options can be chosen and played according to certain terms, some after watching a few videos, and the most interesting — by purchasing a premium membership. Here you can pass game levels, and it will be interrupted with the next transition. After studying the main menu you can start. 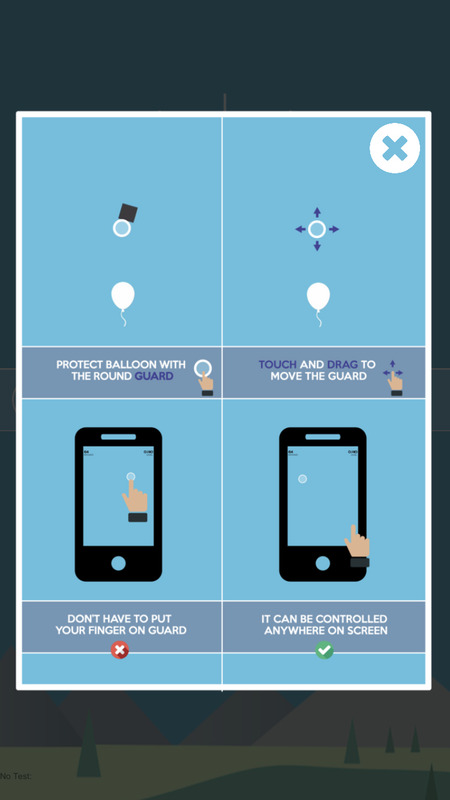 The essence Rise Up almost literally reflected in the title: the user needs to protect up to the balloon using the shield. 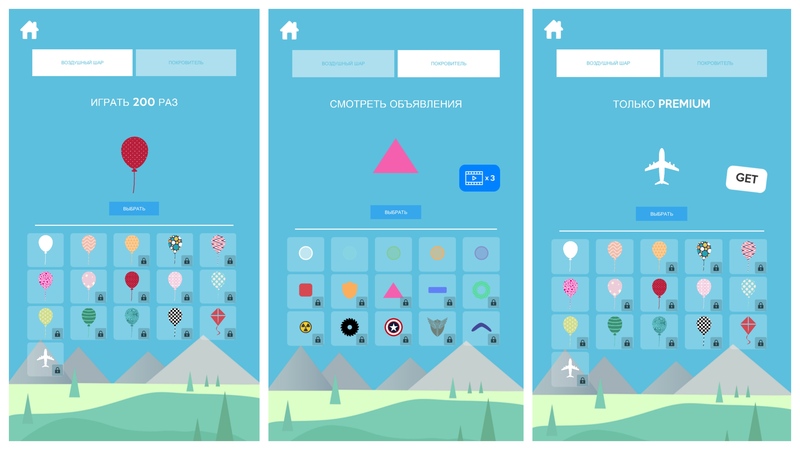 Obstacles can be very different: and standing in the place of geometric shapes, and lightning piercing the whole screen. Movement will continue until until the ball touches something foreign. After losing the app offers an extra life for watching video. In case of failure the system re-opens the Central home screen. 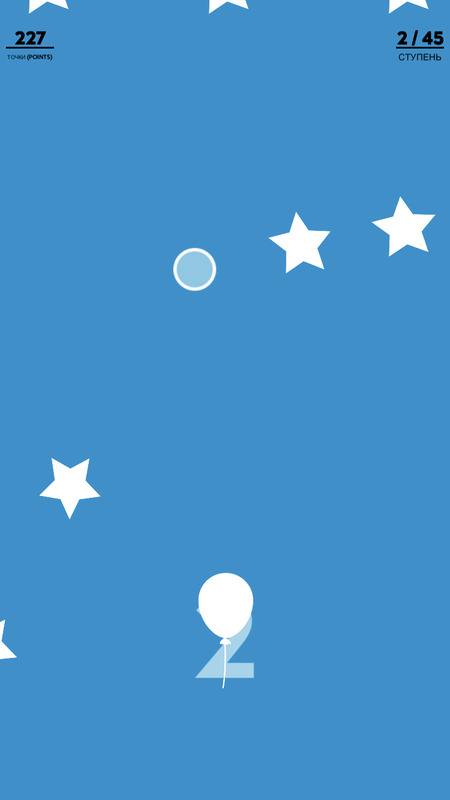 Overall the game is much more complex than it seems at first glance: to protect the ball from falling of stars is not difficult, but to control huge pieces, barely fit on the screen, is more difficult. 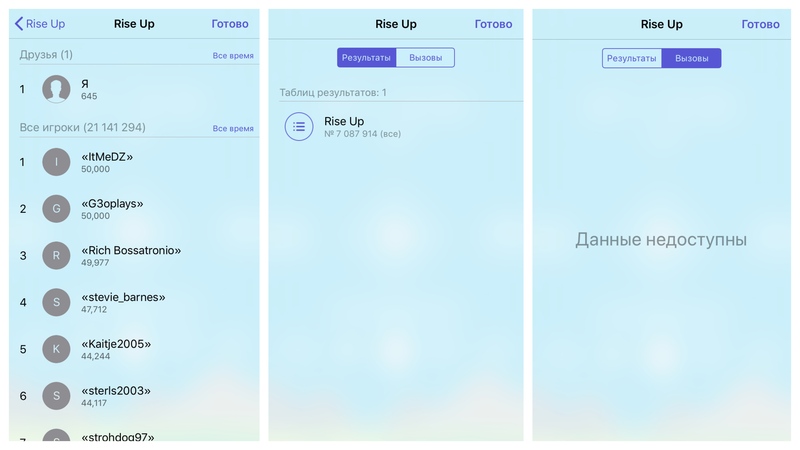 From similar Rise Up is characterized by the presence of levels, interesting shop and nice looking graphics. Obviously, these advantages arcade owes its presence on the 14-th place in the ranking “Top charts”. Download the Rise App from the App Store here.